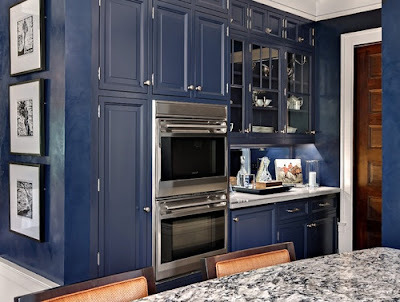 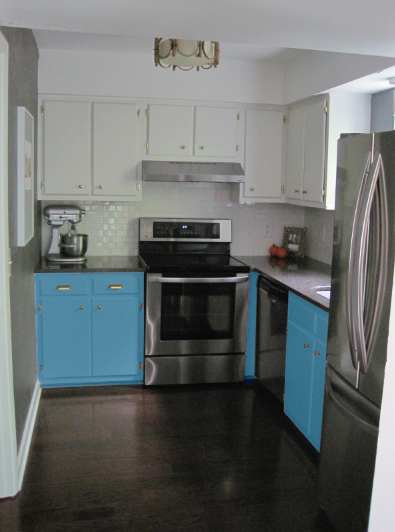 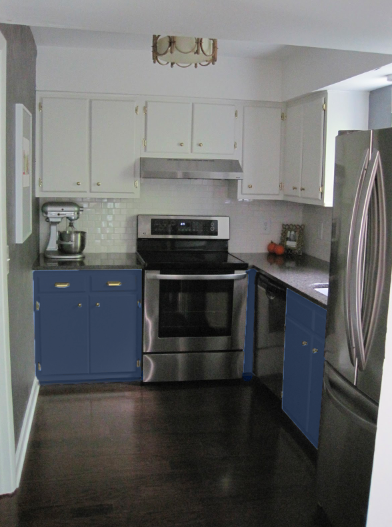 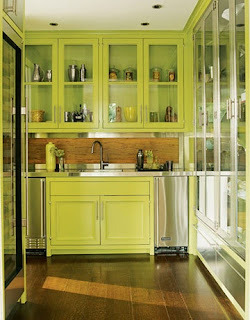 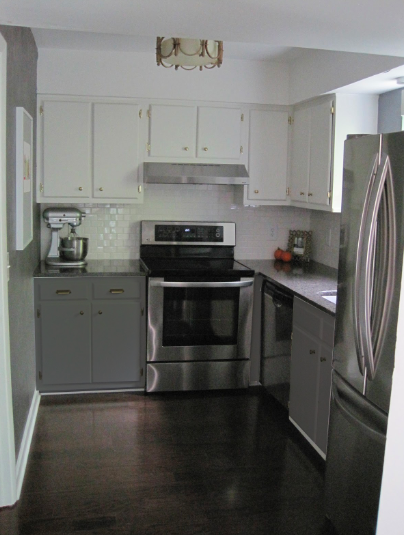 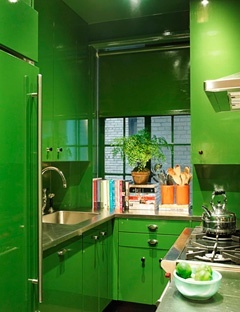 Lately I've been thinking of painting our lower kitchen cabinets. While there are always the safe colors of various shades of gray or even navy I'm not ruling out other more bold colors. I figure my kitchen is so small its not the end of the world if it does not work out...its just paint! 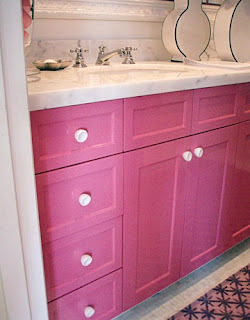 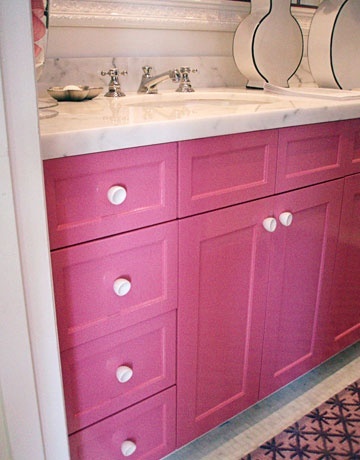 I realize the pink cabinets are a bathroom...but I really like the color! I have loved these orange cabinets for a long time...they were actually part of one of my first blog posts! 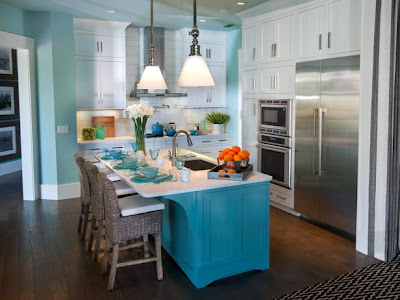 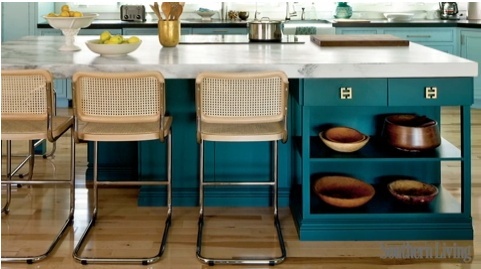 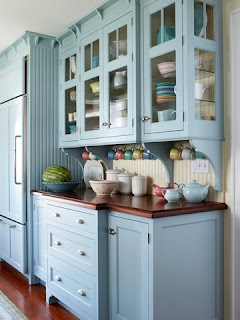 Hard to go wrong with turquoise...its constantly a winner in home design. Those kitchen cabinets are so cute! My wife wants to replace our kitchen cabinets and buy another new cabinets. 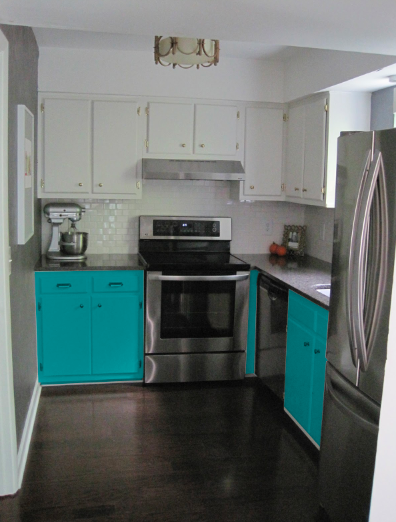 I think these designs are perfect to our kitchen. 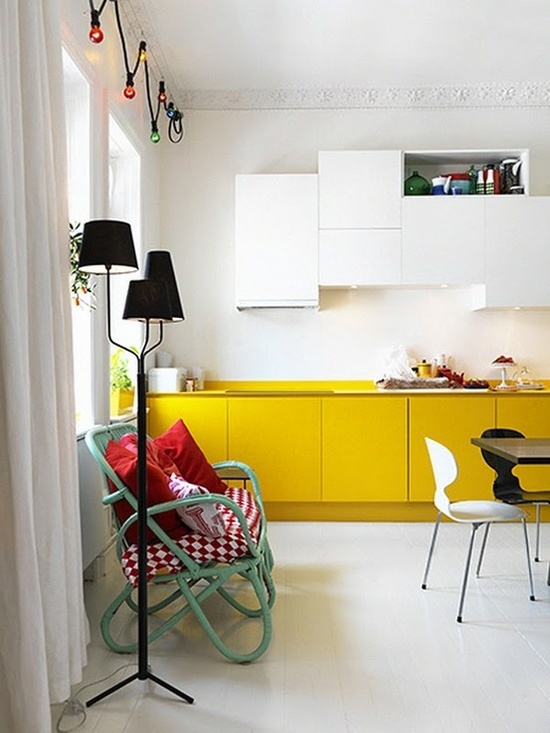 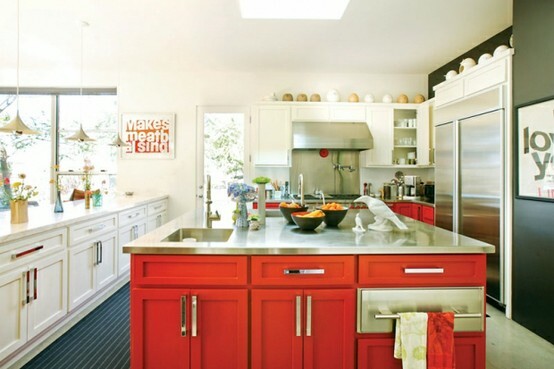 love the colorful kitchen looking so fun!